One of the things that can make a beer festival memorable (besides the beer) is the festival’s venue. 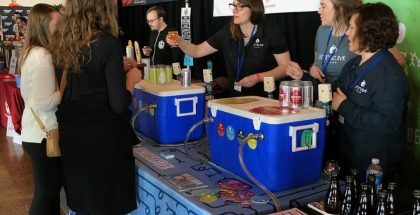 Chicago Ale Fest changed things up this year to great success; they brought the festival to the Lacuna Artist Lofts in Chicago’s red hot Pilsen neighborhood. Chicago recently experienced some of the coldest weather in its history. So, for many attendees, it was probably the first time in almost a week they were able to leave their home. Needless to say, good spirits were abound. 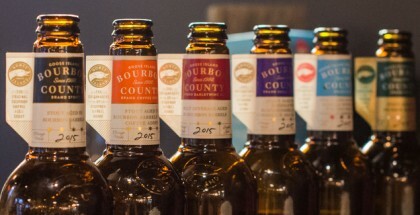 Live music, great food, and of course, plentiful options for the beer connoisseur in all of us, Chicago Ale Fest was a great way to kick off the final leg of Chicago winter. The Lacuna Artist Lofts provided a unique layout for festival. It’s complete with ample areas sit and enjoy some of the several offerings available from some of Chicago’s best breweries and beyond. In addition to the vigorous sampling of ale, attendees had the option of visiting other vendors at the festival. Two Brothers also brought out some samples from their artisan distillery; their Cold Brew Coffee Liqueur was a definite stand out. Additionally, other vendors were available selling everything from chocolate covered pretzels, handmade wooden Chicago Bears merchandise, to hot sauce. Let’s talk beer, shall we? Known for their award winning American Pale Ale, Brickstone chose to highlight some of their offerings; and they did not disappoint. Dark Secret, a bourbon barrel aged Russian Imperial Stout, was the perfect combination of dark chocolate and coffee flavors combined with a subtle touch of bourbon and oak from the barrel aging. At 13% ABV, it was one of the strongest beer offerings at the festival. However, it’s also one of the standouts. Brickstone’s other offering was a milkshake IPA brewed with pineapple and mango. There are a lot of breweries experimenting with this new style of IPA’s; it’s hard to get that “milkshake-like” taste and mouthfeel that one expects when trying this style of IPA. However, Brickstone’s offering is one of the best of this style that I have ever had; it’s as close to a fruit forward milkshake as I have found. Thick, cloudy, and sweet, the fruit from the pineapple and mango is heavily pronounced along with a touch of sweetness from the lactose. Banging Gavel seems like they were having a lot of fun. They came prepared with their popular Doing Time Winter Warmer; which is the perfect beer for winter months. Ruby red in color with heavily pronounced notes of cinnamon and nutmeg, this goes down far easier than it should at 12% ABV. Highlighting the cold weather spices rather then the boozy mouthfeel high ABV beers trend towards, this is a standout at the festival that showcases cold weather beer styles. 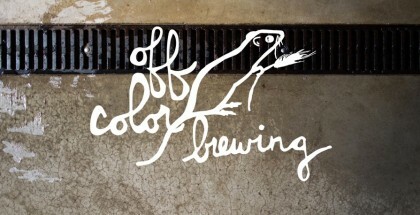 Representing our neighbor to the north was Ontarios’s Collective Arts Brewing. They were on site to showcase their. 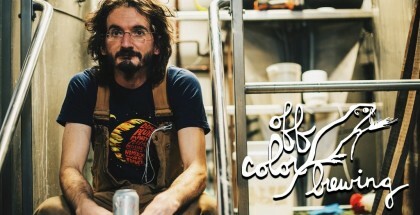 Craft beer drinking enthusiasts either love or hate the hazy IPA trend, but the Collective Arts Brewing representative said they wanted to make a hazy IPA that was more approachable to those new to the style that stood out from some of the other more boozy ones on the market. Life in the Clouds, their New England style IPA, hit the mark with a simple, clean taste that showcases the citris and melon notes from the Simcoe and Mosaic hops. True to the style, it was appropriately hazy and a great representation of this trendy style. I don’t dislike anything from Illuminated Brew Works; they never cease to impress me with their impressive and unique offerings.Thwack! was no exception. It’s a hazy, sour farmhouse IPA with a ton of late edition grape and lime juice. The sweetness from the grape juice does well with balancing the sour component, making it approachable for those new to sours or who are still trying to acquire a taste for them. For me, this was a standout. Have your cake and drink it, too! Adding to the pastry stout craze, Short Fuse Brewing and Exit Strategy Brewing both came out ready to show off their love of german chocolate cake. Short Fuse did an impressive job combining the flavors of cocoa nibs, coconut, lactose, and vanilla together for a very balanced taste in which none of these additions overpowered the other. Exit Strategy’s Das Deutsche Band chose to add a twist by aging their version in Journeyman Whiskey barrels, providing the signature barrel aging presence to their imperial milk stout that was slightly less sweet then Short Fuse’s offering. Two Brother’s Northwind Imperial Stout provided the base for the best offering, in my opinion, at the infusion table. Utilizing the randalls, the stout was infused with sugar cane, cinnamon sticks, orange peel, and coffee beans to give the hefty stout a burst of sweetness. In re-cap, if you’re in or near Chicago and you’re ready to bury yourself out of the January snow and drink some good, strong winter beer, this is the premier festival to attend. It’s well worth the adventure out in the cold abyss. Chicago Ale Fest is underway here at @lacuna2150! Fest Yeti is already hard at work spreading joy and probably sneaking a few sips of beer between photo opps. 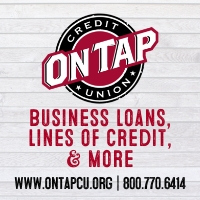 Food trucks, music and BEER. It’s staggering how many breweries are hanging out, pouring and having a good time.